Reacting to the incident, Northern Railways CPRO said that the RPF has initial leads in the case and action will be taken against culprits. 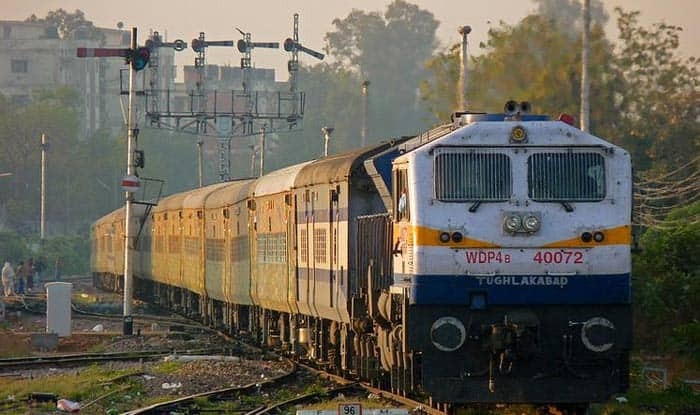 New Delhi: Passengers of two AC coaches in the Jammu-Delhi Duronto Express were looted by unidentified armed assailants in the outskirts of Delhi early Thursday morning. The incident took place when the train stopped at Badli. The matter came to light after a passenger filed a complaint through the railways’ complaints portal. In the complaint, Ashwani Kumar claimed that passengers of B3 and B7 coaches of the train 12266 were targeted by the armed men when it neared the Delhi Sarai Rohilla station. A Northern Railways official said the RPF has some lead in the matter and action will be taken against the culprits. “The Railway Protection Force (RPF) has initial leads in the matter. The culprits will be nabbed soon and stern action will be taken against them,” a Northern Railway spokesperson said. He claimed that the robbers, who were carrying sharp-edged knives, threatened the passengers to handover their expensive items. “They looted purses, cash, carry bags, gold chains, mobiles and many more items from multiple passengers,” he said. He claimed that the incident took place within 10 to 15 minutes when train stopped there. “The irony is that neither staff nor security personnel were available there at the time of the mishap,” the passenger claimed. He said that the passengers tried to reach the train attendant and TT after the incident and found them after 20 minutes. The complainant claimed that when he could not find the TT or the attendant, he contacted the Delhi Police after which an FIR was registered at the destination station. “… The attendant told us that there was no security personnel available in the train. We are not safe even in AC coaches and imagine the security in sleeper class and general coaches where passengers enter the train even without tickets… ,” Kumar wrote in his complaint.